Mexico's manufacturing sector has grown at an exponential rate over the past decade. 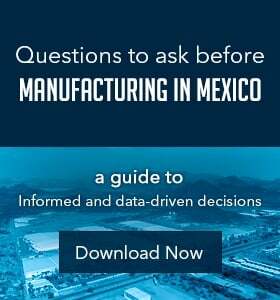 In response, the Mexican government has taken important steps to make the country more compatible for manufacturers and other economic industries. In 2014, the Mexican government published its report on the "National Infrastructure Program", which outlined a $600 billion plan to improve transportation, communication and energy infrastructure. Currently, Mexico's new president Andres Manuel Lopez Obrador is looking to expand and modify the country's infrastructure to help sustain and improve the country's various industry sectors. 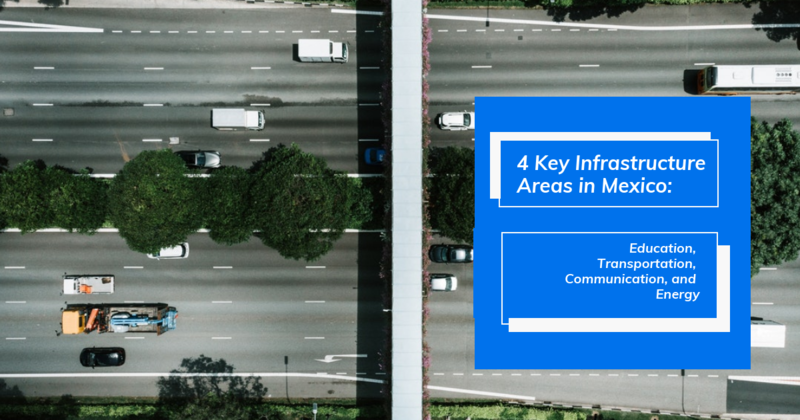 Four key infrastructural areas the Mexican government focused on in the past are, education, transportation, communication, and energy. Further, Mexico has taken major strides in creating a more educated populace. Educational funds are allocated through all stages of the education process. For example, funds are used to improve schools in rural and poor areas, which often lack electricity, toilets and roofs. Also, as a result of greater funding, technical schools, colleges and universities focus on science and engineering, enabling more Mexicans to earn engineering degrees annually than Canadians and Germans. As Mexico continues to improve education within the country, manufacturers in Mexico will have access to valuable, skilled labor. Mexico's participation in NAFTA, and soon to be USMCA means manufacturers in Mexico will continue to have a major free trade advantage that saves them money and creates efficiencies. Mexico is focusing heavily on improving transportation infrastructure - including roads and bridges - to make supply chains more efficient and empower businesses to save the most money. Additionally, Business News Americas reported the Mexican government plans to invest $1.7 billion to expand rail infrastructure. Communications infrastructure is essential for manufacturers in Mexico. As a result, Mexico has placed heavy emphasis on improving this area. In fact, Area Development reported that AT&T announced plans to invest $3 billion to extend its high-speed mobile Internet service to Mexico. The expanded network will bring connectivity to 100 million consumers and businesses by the end of 2018. This means better connectivity for manufacturers along with the continuation of industry 4.0's digital adoption. Since 2013, Mexico has harbored an ideal climate for energy reform and infrastructural improvements that will bring oil prices down for manufacturers. Specifically, when the country's national oil company, Pemex, became a state-owned productive group in 2013, the company was able to enjoy much more independence from the government. More recently, the U.S. government and Pemex made an agreement to exchange heavy oil pumped in Mexico for light crude oil produced in the U.S. As a result, Mexico's oil refineries will be able to make more gasoline and run more efficiently. Movement for the energy reform has started as renewable sources play a big part in the advancement of energy in Mexico. Private local and foreign companies have begun to invest in solar, wind and natural gas technologies that will establish 50% of the new energy infrastructure by 2021. Over the past few years, federal investment in infrastructure has fluctuated, but mainly dropped due to lack of construction, and water utility infrastructure. Mexico's newly elected president, Andres Manuel Lopez Obrador has vowed to modify the investment reform, double spending on large projects, boost the construction budget, and spend the equivalent of 4.1% of Mexico's GDP on overall infrastructure and social programs. As infrastructural improvements remain a top priority for the Mexican government, the advantages of companies moving their operations to Mexico will become more apparent.